I have been studying all week and this afternoon I really needed a boost that would give me that ‘little bit of sunshine’ or rather something yummy, nourishing and would get me through to the end of my assignment. 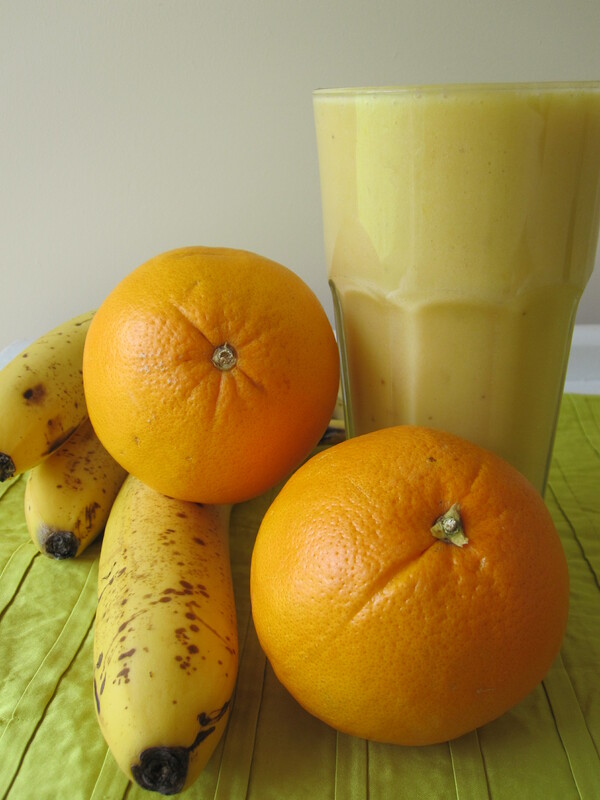 1 cup frozen mango pieces, 1 ripe banana, the juice of 1 1/2 oranges and 1/4 cup of almond milk – blend until smooth. Too easy and I made it through the afternoon and the completion of my assignment.